Are you doing anything on April 5? If not, then why not take a walk? 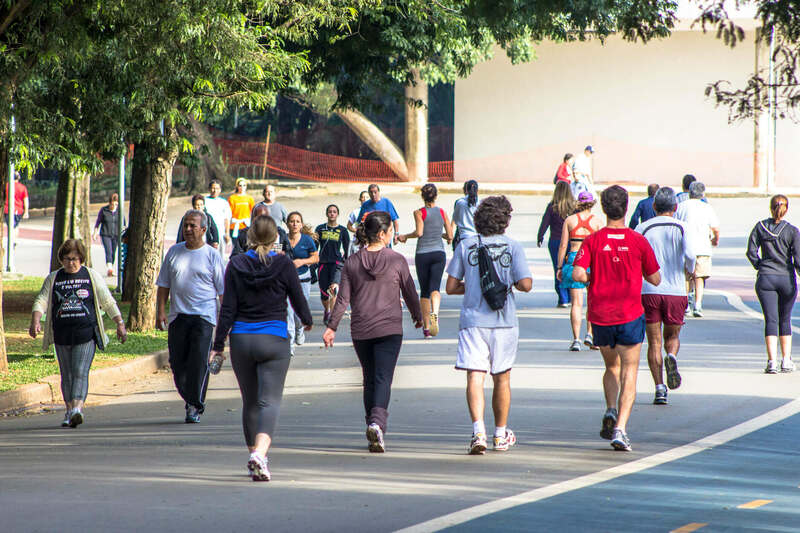 April 5 has been designated as National Walking Day, and the team at Metropolitan Vein and Aesthetic Center would like to take this opportunity to introduce some of the lesser-known benefits of walking. National Walking Day is a program from the American Heart Association that encourages individuals, schools and communities to hold events to promote the health benefits of walking. By making a community-wide focus on walking and its benefits, National Walking Day encourages individuals and companies to have a healthy start to the spring and summer seasons, when the weather makes it easier to be active outdoors. Why a focus on walking? Why not a focus on more strenuous activities, like running or biking? Is walking really enough exercise? Walking is a great exercise because it’s something almost anyone can do, and it has exceptional health benefits. Most people are aware of the obvious benefits, like improved weight and lowered risk of cardiovascular disease, but there are other benefits as well. For instance, people who walk at least 30 minutes per day have a lower risk of developing osteoporosis, breast cancer and colon cancer. They also reduce their risk of type 2 diabetes and stroke. Add to this the healthier weight and lower risk of heart disease, and walking quickly becomes a great exercise to consider. One of the more surprising benefits is the decreased risk of varicose veins. Varicose veins occur due to a lack of circulation, causing pressure in the veins. Walking increases circulation throughout the body, including in the legs, reducing this risk. It’s also a low-impact exercise, which is ideal for those who already suffer from vein problems or who have had spider vein removal and want to avoid the risk of developing more. Are you ready to enjoy these benefits? Join the Metropolitan Vein and Aesthetic Center on National Walking Day and help your body enjoy the maximum health benefits from the simple and easy activity of walking. If you suffer from vein disease and are looking for spider vein removal services, make an appointment with Metropolitan Vein and Aesthetic Center today by calling 914-935-7541.